Get unique gifts for your family, friends, or yourself. High quality clothes that can be customized. If you like a design, you can apply it to a diversity of options in color, clothes, and sizes. Watch it as it will look on real models. 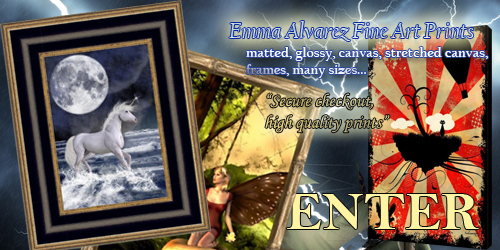 If you are a design professional, a digital artist, or an passionate hobbyist, visit the store of Emma Alvarez in Renderosity. 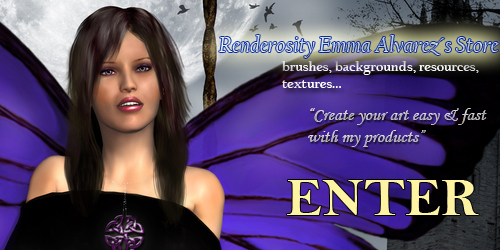 Renderosity is one of the largest and most diverse marketplaces on the web for digital content, an top notch online art community since December 1998.